BT Sport has extended its partnership with Frank Warren and Queensberry Promotions, continuing as the broadcaster of Frank Warren’s world class stable of fighters which include Billy Joe Saunders and Carl Frampton. 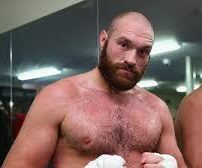 BT Sport will also exclusively broadcast Tyson Fury’s heavyweight comeback fight in June. BT Sport will offer a compelling line up of Fight Nights this summer, including the IBF Featherweight World Title showdown between bitter rivals Lee Selby and Josh Warrington on May 19th at the home of Leeds United; former Unified Heavyweight World Champion Tyson Fury’s long-awaited comeback fight at the Manchester Arena on June 9th; Billy Joe Saunders’ WBO middleweight title defence against domestic rival Martin Murray at the O2 on June 23rd; and Irish amateur hero Michael Conlan’s highly-anticipated Belfast homecoming fight on June 30th, all of which will be available for BT Sport subscribers at no extra cost. The partnership will see former two-weight World Champion Carl Frampton’s future fights on BT Sport in addition to former WBO Super-Welterweight World Champion Liam Smith and former WBO Lightweight World Champion Terry Flanagan, along with up-and-coming stars such as Heavyweight sensation Daniel Dubois and Light-Heavyweight knockout artist Anthony Yarde. BT Sport also confirmed that later this year it will be launching its own Pay-Per-View events on BT Sport Box Office, which will be available on the BT TV, Sky and Virgin Media platforms.